Safe Routes to School hosted Walk/Bike to School Days and taught crosswalk safety in schools. Give Where You Live brought in $7,400. Community Partners also won their video contest. 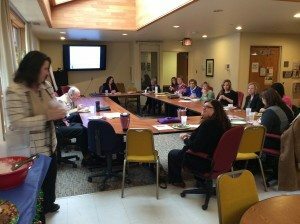 Alzheimer’s/Dementia Coalition hosted lunch and learns in July and holiday tips panel in December. Positive Pressure started the Be Safe, Be Smart Cruise Nite Task Force and revamped the Parents, Take a Stand website. SHARP Surveys were administered in area schools. Health HUB pilot program was completed and helped illustrate a need for care in the community. United Against Violence launched Second Step curriculum in schools and hosted three PhotoVoice sessions. Youth Advisory Board saw a record number of applicants. Community Partners won CHI Good Samaritan’s Healthy Community Award for partnerships. HelpCare Clinic moved through planning phase and is scheduled to launch in April 2015.